Canada Reads just wrapped up for another year and we shouldn’t be surprised to learn that 2019 is the 18th year for “Canada’s title fight.” This program has created a national conversation about books by Canadian authors highlighting social, political, and human rights issues. Some amazing books have been discussed and most of them have been very good reading, including these past winners: In the Skin of a Lion by Michael Ondaatje (2002), A Complicated Kindness by Miriam Toews (2006), and Best Laid Plans by Terry Fallis (2011). This year the theme was “one book to move you,” and if you tuned in you’ll know that the panelists were all very passionate and that each of the books gave a child’s perspective of the loss of family and home, destruction of relationships, or unacknowledged mental illness. The last two books left in the debate were Homes by Abu Bakr al Rabeeah and By Chance Alone by Max Eisen. Both were powerful stories about leaving a childhood home to find safety – and both authors were eventually welcomed in Canada as refugees. Although the stories are set 50 years apart, there is a similarity to the pain and anguish of having to escape difficult situations. Yes, books can move you – to joy, to sadness and sometimes to action which can come in different forms. The call to action from both of these books is for understanding. 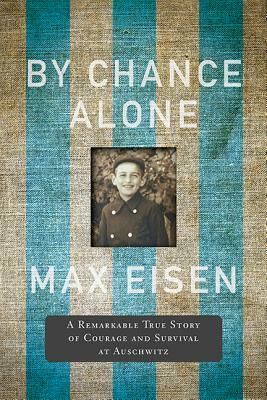 Max Eisen’s book may be the last memoir written by a holocaust survivor. He wanted people to understand how families were torn apart by the actions of an intolerant society. In the other book, Abu Bakr al Rabeeah described his family’s escape from civil war in Syria and how heart-wrenching it was for them to leave everything and everyone they knew – possibly to never see them again – due to a current conflict that many of us know nothing about. This year’s winner By Chance Alone was admirably defended by Ziya Tong, but all of the books are powerful and beg us to be open to other people’s suffering, loss and despair. We all need to be more understanding and let ourselves be moved by their stories. 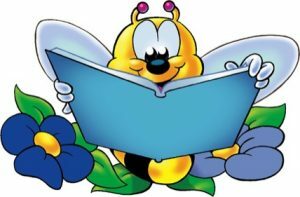 Let us help you find “one book to move you,” either in person at Neepawa Library or visit us online at wmrl.ca where you can search the catalog for your next book.